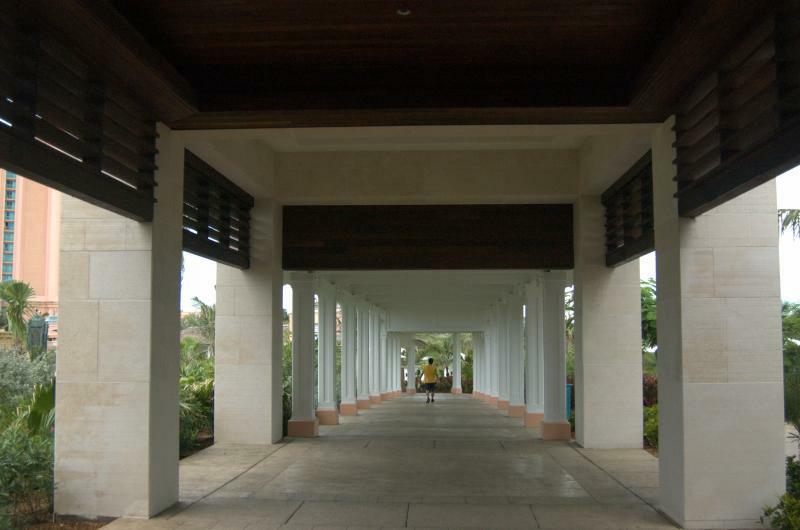 Columns are much more than just supporting posts–they are the cornerstones of some of the most incredible interior and exterior designs on Earth. StonePly can craft authentic natural stone covers for columns of all sizes to provide a truly magnificent appearance. Thousands of stone options: We have the connections necessary to source marble, granite, travertine, onyx, and limestone from various suppliers and international locations. Often made of wood, steel, and reinforced concrete, beams can serve a structural and/or decorative function depending on their level of visibility and the material from which they are made. StonePly can fabricate natural stone cladding for structural beams that will give plain supports the extravagant appearance of natural stone. All of our stone, texture, and other design options for natural stone column wraps are also available for beam wraps. StonePly natural stone cladding weighs a fraction of solid stone slabs: This can reduce transportation and labor costs, and results in less stress being placed on structural elements. Installing StonePly natural stone column covers is relatively straightforward: Cover panels are secured to a sub-framing system comprised of steel studs or aluminum angles. This system is attached to the structural column or beam. Alternatively, the natural stone panels can be directly affixed to the structural column or beam with Z clips. Unlike porous solid stone, StonePly column wraps have a backing that prevents water from soaking through. The impact strength of StonePly natural stone panels is up to 60 times greater than that of solid stone slabs, which allows for the creation of incredibly durable natural stone column covers and wraps. Lightweight natural stone panels by StonePly are suitable for a variety of applications aside from cladding columns and beams. With StonePly, you can easily add the splendor of marble or the rugged beauty of granite to walls, niches, elevator interiors, and more. If you’d like additional information, please visit the StonePly website. You can also request a free initial consultation and/or a personalized quote by calling us at 903-454-4630 or filling out the form on the contact page of our site.